– John Streur, President and CEO, Calvert Investment Group. There has long prevailed an alleged trade-off between return on investment and allocation of capital towards companies that engender positive social/environmental impact. Nonetheless, despite varying degrees of impact, the allure of an investment policy with the potential to affect corporate, environmental, and social change has been a recurring theme among a portion of socially-minded investors. Today – as ROI continues to prove that business is not zero-sum, that there need not be a trade-off between profitability and impact – this investor ensemble increases to include investors solely seeking returns. This investor ensemble grows from niche to mainstream. At its onset, socially-responsible investing (SRI) entailed avoidance of specific stocks or industries through negative screening according to moral guidelines. Today, sustainable, or environmental, social and governance (ESG) investing, is an outgrowth of previous iterations. As ESG investing has increased in both popularity and sophistication, it has become less focused on stock restriction, instead encouraging the integration of environmental, social, and governance factors into the fundamental investment selection process. Historically, responsible investing movements have not proved large enough to drive meaningful change. Corporations have generally been unwilling to alter practices without government intervention, exemplified by the necessity of government involvement to ban investments in Cuba, North Korea, and Iran. The chief impediment has been that numerous, conflicting restricted lists of objectionable companies have prevented a critical mass from coalescing on any one issue. In the 1970s, the Calvert Investment Group attempted to mitigate this hurdle by collecting a wide range of concerns for broader appeal. While seemingly straightforward for managers to combine multiple restricted lists for stock selection, overly broad vectors result in too narrow an investable list. When the investable universe contracts to such an extent, judgment calls become necessary, uncertain standards arise, and conflicting indices of companies are formed. The Capital Asset Pricing Model, though riddled with simplified assumptions, argues that, ceteris paribus, investors must consider the entire investible universe in order to architect an optimal portfolio. The model further assumes that risk can be ascertained. 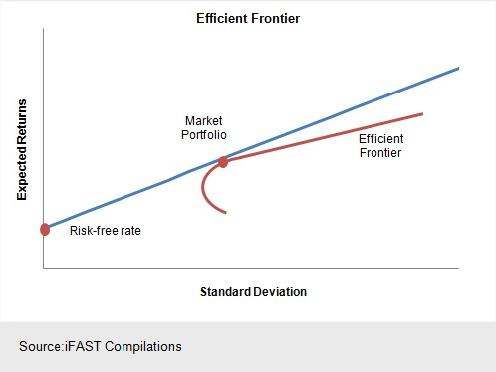 According to theory, contracting the universe by excluding companies for ESG or other idiosyncratic factors will not result in the highest return per unit of risk. If a company cannot be excluded, then its risk and return profiles must be assessed and priced accordingly. The failure of investors to consider the greater risk and volatility associated with companies that do not adhere to higher standards of environmental, social, and governance factors is a critical oversight. The data points to yes. Recent research published by Morgan Stanley, Sustainable Reality, proclaims: “Investing in sustainability has usually met, and often exceeded, the performance of comparable traditional investments. This is on both an absolute and risk-adjusted basis, across asset classes and over time, based on our review of (10,228) US-based Mutual Funds and (2,874) Separately Managed Accounts. Specifically, over a seven-year time horizon, in 64% of the periods examined, sustainable Equity Mutual Funds exhibited equal or lower median volatility and equal or higher median returns, as compared to their traditional counterparts. Similarly, sustainable Separately Managed Accounts (SMAs) portrayed equal or lower median volatility in 72% of the periods examined, and equal or higher median returns in 36% of the periods examined. 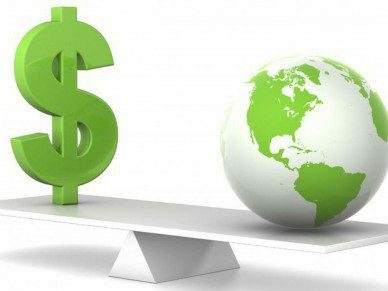 A 2011 study conducted by Harvard revealed the difference between a $1 investment in 1993 in a value-weighted portfolio of high sustainability companies versus a $1 investment in a value-weighted portfolio of low sustainability companies. The study revealed that the high sustainability portfolio would have augmented to $22.60 by 2010, while the low sustainability portfolio would only have achieved $15.40, a 46.8% difference in investment return. The MSCI KLD 400 Social Index has outperformed the S&P 500 by 45 basis points on an annualized basis since its inception (10.14% versus 9.69%, July 1990 – Dec. 2014). COULD SUSTAINABLE INVESTING BE TRENDING TOWARDS MAINSTREAM? In 2012, $1 of every $9 of U.S. assets under professional management was invested “sustainably”, the majority of these dollars allocated towards public equities. By EOY 2014, sustainable investments had increased to $1 of every $6 of U.S. assets under professional management, resulting in an ultimate U.S. investor allocation towards sustainability of $6.57 trillion (Morgan Stanley). Globally, the sustainable investment market boasted a 61% increase from 2012-2014, exemplified by an uptick in sustainable investments from $13.3 trillion to $21.4 trillion (Eco-Business). When you have some of the largest players in the financial sector taking ESG seriously, it send a powerful signal to the markets – Fiona Reynolds, Managing Director, United Nations Principles of Responsible Investment (UN-PRI). In 2014, Morgan Stanley Investment Management hired former International Financial Corporation (IFC) CIO, David Wilton, to assist in in its launch of a new Private Equity Global Impact Fund. “He (David Wilton) has proven through his work at the IFC that long-term positive social impact and strong financial returns can, and should go, hand in hand.” – Audrey Choi, CEO of Morgan Stanley’s Institute for Sustainable Investing. In late 2015, Goldman Sachs purchased Imprint Capital Advisors an investment management firm boasting approx. $550 million in AUM, focused on advising clients how to construct portfolios that achieve both optimal returns and environmental/social impact. Merill Lynch also jumped on board in 2015, introducing a new sustainable impact multi-asset class portfolio to its solution set, and investing in an ESG Measurement Resource. In October of 2015, BlackRock launched the BlackRock Impact U.S. Equity Fund (BIRAX), a mutual fund designed to enable investors to achieve both social and financial goals. THE FUNDAMENTAL QUESTION: What exactly constitutes a sustainable investment? While there are numerous efforts focused on mandating standardized reporting and transparency, the major hurdle is that the assessment of environmental, social, and governance risk factors and opportunities remains largely subjective. Presumably, high quality portfolio managers have been, for decades, incorporating ESG factors in varying degrees into their long- term risk-assessments, even if such managers have not deemed themselves “sustainable investors”. Such managers have concluded that, in a world of bimodality, companies on the low-end of the sustainability spectrum encompass greater short-term volatility. As the long-term is composed of a series of short-terms, these companies introduce an additional risk of negative long-term effects within a short-term investment horizon. Similarly, an abundance of research has portrayed that companies actively pursuing improvements in environmental, social, and governance metrics are reaping the benefits of higher operational efficiency and stock price performance while simultaneously driving down cost of capital. The ultimate challenge to a fund manager becomes effective disclosure and quantification of process to clients, prospects, and shareholders. ESG risks are challenging to quantify. Defining sustainability near impossible. However, the efforts of the Sustainability Accounting Standards Board (SASB) and the MSCI have improved the standardization and public disclosure related to sustainable investing. The costs of enhanced disclosure and transparency will prove to be data, performance attribution, and analysis of current investment processes. Similar to other analytics required by the market, the majority of these costs will be borne by the investment manager. Once ample mandates are lost due to lack of ESG integration or disclosure, managers are likely to acquiesce and provide the desired information. Communication endures as a supreme hurdle. Investment managers that cannot effectively convey the way in which they are looking at, and thinking about, ESG, will lose. We met this weekend at an AdMIT event and I made sure to check out your blog, and I’m glad I did! This is a fantastic article. It does seem like this was the year sustainability investing went mainstream. I haven’t made it through all your articles yet, (so you may have answered this in a previous post) but has there been any research on whether ESG investing’s superior performance is a result of the ESG focus itself, or simply an aggregated result of the type of company/foresight/discipline required to have such a focus? Do you think it even matters? Thanks so much for reading and commenting, and apologies for the delay in response. Congrats again on your admission to Sloan and I hope to see you here in the Fall! You pose a great question. Ceteris paribus, can we prove that it is the ESG itself that is the result of superior performance? Here are my thoughts on the matter. First and foremost, a bad investor is a bad investor no matter what type of investment philosophy he/she adheres to. So let’s assume that we are talking about only the most astute investors. Your question, if I am understanding it correctly, is tied to the actually investment side. When you apply an impact lens to sustainability (first choose a set of viable investments, then, of those viable investments, which companies are likely to fashion impact at scale), you are applying a set of criteria just like any other investment strategy (large cap growth only, emerging markets companies only, etc.) 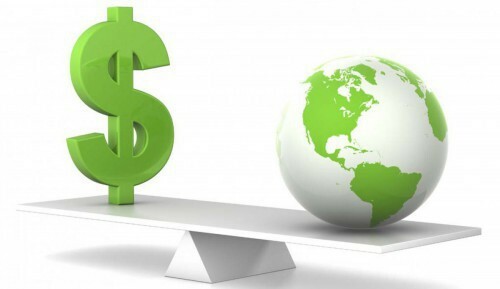 The difference here is that impact investors understand that companies that TRULY adhere to high standards of environmental, social, and governance are likely to outperform in the long-run (environmental friendliness cuts costs, high social standards keeps employees happy, good governance positively affects operations and image…the list endures). 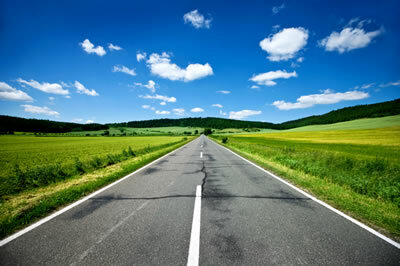 So, in short, yes, I think the superior performance is the result of ESG, but remember, ESG investing is not investing in ANY company that happens to be sustainable, it is integrating environmental, social, and governance standards into the fundamental investment process – investing in QUALITY companies that adhere to high ESG standards. ^ Note: I emphasize the word truly because there are a multitude of companies that say they are sustainable, but, actually, are not. Expanding your question a bit further, here is another interesting thought: Does ESG cause superior performance or does superior performance allow companies to adhere to ESG with the extra profits?